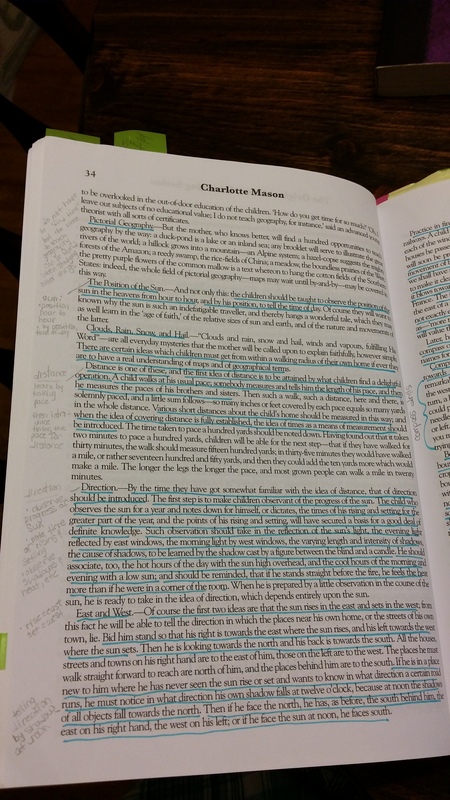 Back when I started homeschooling my oldest, I learned about Charlotte Mason. It has been almost 10 years at least and her teacherings have never left me. I’ve learned a lot in that time from friends and a wonderful support group I was part of. We use Ambleside Online. I follow blogs. What I have found to be helpful and available to me at all times are two of my favorite books. 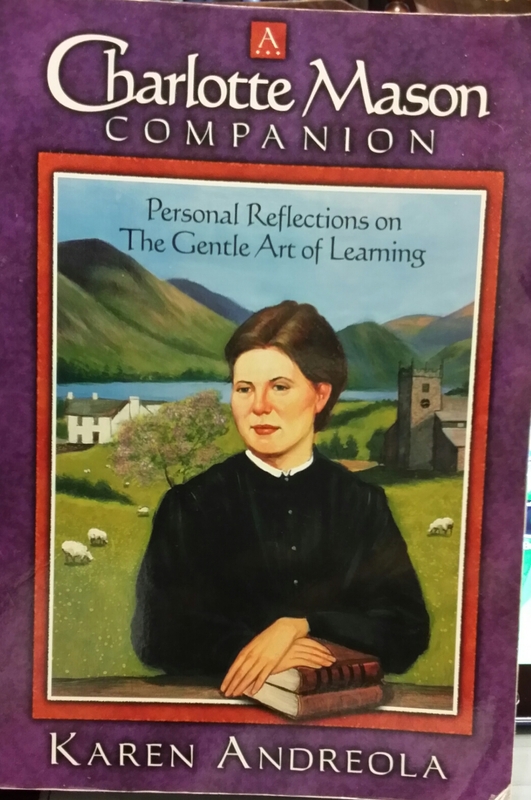 This first book I’ve had since I began homeschooling. 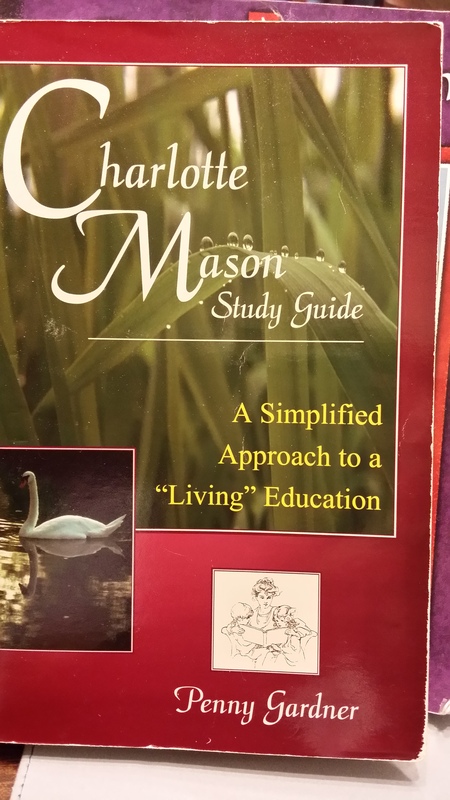 It is my favorite book on Charlotte Mason and her methods. You can see some of my handwritten notes. You can probably guess what my favorite book is. Yep, the series written Ms. Mason herself. 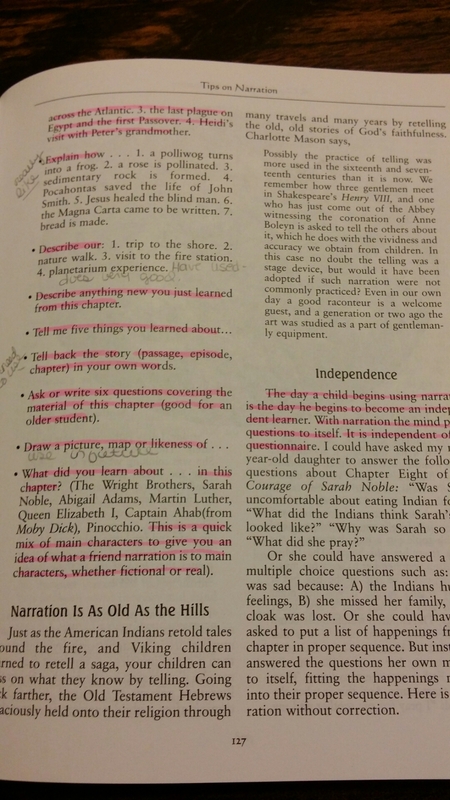 Here is one of my highlighted pages. I also have this book which is good but I’d rather have the original series. 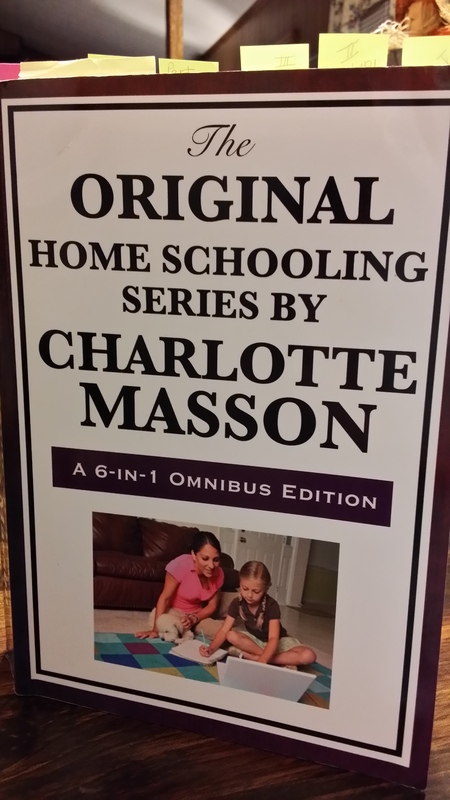 You can find The Original Homeschooling Series by Charlotte Mason online through Ambleside Online.